That’s not a balloon! by Jacque Duffy is an early reader that captivates and educates, investigating the Blimp and Hot Air Balloon. We found this book very informative and full of information we did not know. Blimps are something we do not see very often, less these days than we use to. How do they work? What are their dimensions? Did you know the lightsign is made of approximately 369,600 LEDs. Hot Air Balloons are something we see a little more regularly and we admire as they float through the sky but something we do not give much technical thought too. Do you know what temperature the inside of the balloon is or how the heat is monitored? What are the different parts of a hot air balloon called? How much gas do the burners use per hour? This book is a little package full of lots of information. The colourful illustrations complete the informative package. 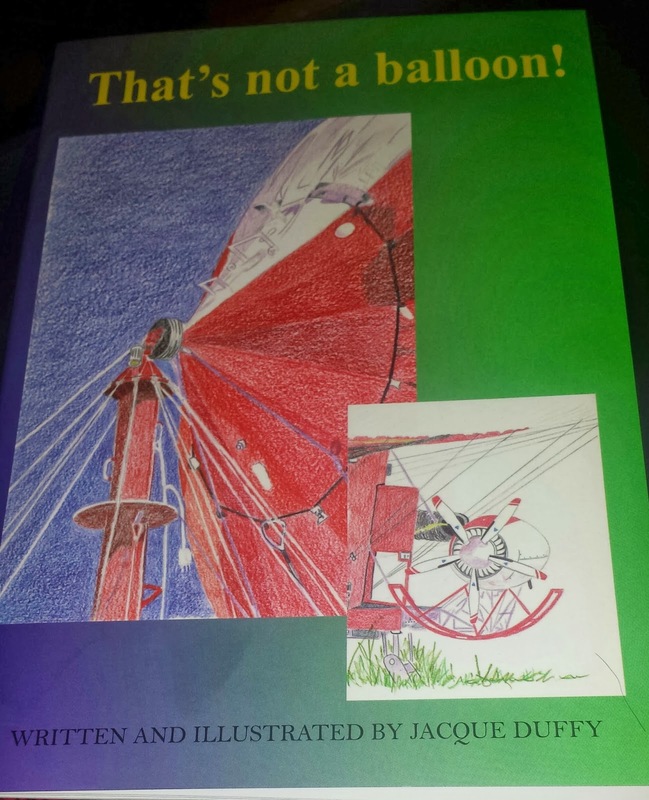 The comparison of the two balloons and their relationship to that of the hot air balloons that a child would see at a birthday party make this book easy to understand and a resource that gets the cogs of the mind churning. Well done Jacque Duffy, this is one of the most informative early readers I have read with my daughter in a long time.